Discover thrilling new talent in our prestigious Competition section. Each year, the HIFF Awards honor emerging narrative and documentary directors with global perspectives, representing cinema’s next generation of innovative film artists. 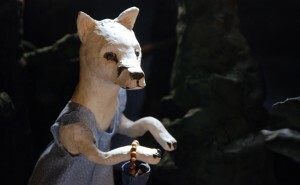 Juried by world-class filmmakers and industry professionals, these competitions represent the impressive, provocative premieres by cinema’s next wave of filmmakers. The revelatory debut feature of acclaimed Australian theater director Simon Stone is a remarkable adaptation of Henrik Ibsen’s play The Wild Duck. Christian (Paul Schneider) returns to his hometown after a long absence, in order to attend his father’s (Geoffrey Rush) wedding to his former housekeeper, who happens to be half his age. Christian’s attempts to reconnect with his family and friends stir long-buried tensions and bring forth secrets from the past, threatening all those caught in his gravitational pull. This mesmerizing, heart-wrenching family drama is skillful and confident, heralding Stone as a director to watch. 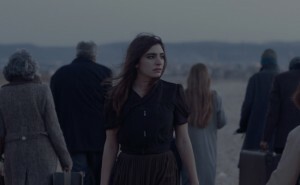 Winner of the Camera d’Or at the Cannes Film Festival, DIVINES is the outstanding debut by Houda Benyamina, the first Arab director to ever win the prize. 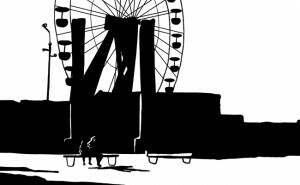 In the outskirts of Paris, Dounia (Oulaya Amamra) dreams of money, power, and a quick escape from the ghetto surrounding her. Paired with her slightly more cautious best friend Maimouna (Déborah Lukumuena), the kinetic and often hilarious duo become embroiled in a world of crime. With superb performances, Benyamina expertly balances a buddy comedy with a high-paced thriller, all the while offering a raw critique on race and religion in France. A poor railway worker’s world is turned upside down when he finds a huge pile of cash abandoned on the tracks in Kristina Grozeva and Petar Valchanov’s absorbing masterpiece, GLORY. He decides to do the honorable thing and turn it over the police, but a careless government propaganda team eager to capitalize on the story sends his life spinning out of control. Set against the backdrop of contemporary Bulgarian society, where corruption and bureaucracy are givens, GLORY is a mysterious journey of one man’s race against time to expose the truth and regain his dignity. In this psychological thriller, a solitary woman’s world is turned upside down when a vacationing Norwegian couple welcome themselves into her home in the French countryside, slowly invading her peace. 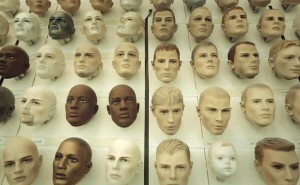 Who are the foreigners? Why do they seem to not want to leave any time soon? With hypnotic camera movements, a seductive score, compelling characters, and a series of twists and turns, LATE SUMMER explores the lead actress’s psyche, resurfacing her sexual desires, fears, and traumas. The film evokes memory’s hallucinatory terrain and the human inability to recover from past wounds, which, despite the passage of time, refuse to heal. Presented with support from the Norwegian Film Institute and Norwegian Consulate. 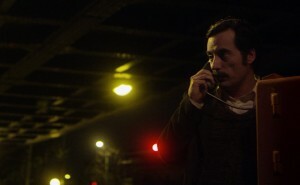 Francisco Sanctis (Diego Velázquez) is a middle-aged office worker whose mundane routine is interrupted one night when Elena (Valeria Lois), an old friend from college, informs him of an upcoming kidnapping that only he can prevent. The year is 1977 and Argentina is in the middle of a military dictatorship. Living under the threat of surveillance and paranoia, acting on this information could endanger Francisco’s comfortable life, but can he simply ignore this news? Thrust back into the politics of his youth, Francisco is forced into a moral dilemma in this heart-pounding and award-winning drama. The Narrative Competition is sponsored by The Wall Street Journal. 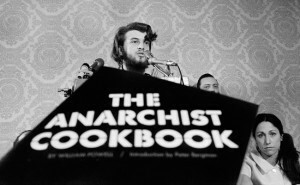 AMERICAN ANARCHIST tells the story of one of the most infamous books ever written, The Anarchist Cookbook, and the role it has played in the life of its author, William Powell, who wrote it at 19 in the midst of the countercultural upheaval of the late 1960s and early ’70s. Academy Award-nominated filmmaker Charlie Siskel (FINDING VIVIAN MAIER) tracks down Powell, now 65 and a schoolteacher, for an intimate and thought-provoking conversation as he revisits the work and the influence it continues to have. A cautionary tale of youthful rebellion and unforeseen consequences, AMERICAN ANARCHIST is a universal and all-too-human story of a man at the end of his life wrestling with his past, his identity, and the repercussions of his youth. 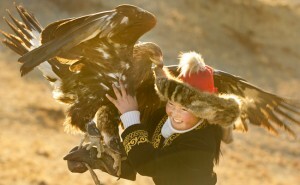 The Kazakh tradition of eagle hunting has been passed down from father to son for over 2,000 years in Western Mongolia. Aisholpan, a determined and spellbinding 13-year-old, dreams of becoming the first female huntress. With the support of her family, and against all odds, she trains diligently with her father to prepare for an annual competition, the first step on her quest to gain acceptance. Executive produced by documentary filmmaker Morgan Spurlock and narrated by Star Wars heroine Daisy Ridley, THE EAGLE HUNTRESS stunningly captures Aisholpan’s breathtaking journey to break down gender barriers and achieve her dream. A middle-class family goes to extremes to achieve the American Dream in this masterfully edited found footage documentary hybrid. Director Dean Fleischer Camp discovers on YouTube over 100 hours of home footage shot by an unknown working-class man who obsessively filmed his family for more than 7 years. Birthday parties, trips to the mall, family vacations–seemingly endless footage of their mundane activities are skillfully shaped into a provocative and unexpected narrative that keeps you on the edge of your seat. 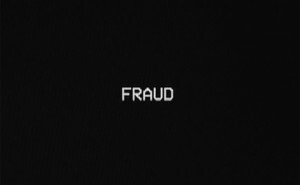 At once meditative and thrilling, FRAUD is the director’s unique and layered vision of capitalism, personal identity, and biography in media. On August 1, 1966, a sniper rode the elevator to the top floor of the University of Texas Tower and opened fire, holding the campus hostage for 96 minutes. When the gunshots were finally silenced, the toll included 16 dead, three dozen wounded, and a shaken nation left trying to understand. 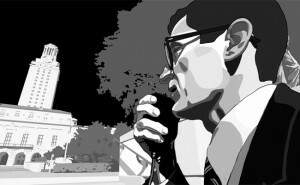 Combining archival footage with dynamic rotoscopic images, the award-winning TOWER reveals the tense, untold stories of the witnesses, heroes, and survivors of America’s first mass school shooting, when the worst in one man brought out the best in so many others. The Documentary Competition is sponsored by Investigation Discovery (ID) Films. A family of Bosnian refugees try to adjust to their new life in the Netherlands, but strange and humorous situations at home, work, and school disrupt their attempts at normalcy. Feeling isolated in his English countryside community, Shahram seeks human connection through unconventional means. A shy wolf’s efforts to fit in are sabotaged by a mysterious, uncontrollable itching. Fatma accompanies her mother to translate a doctor’s appointment, but finds she is unable to say anything at all. Though Lebanon’s garbage crisis threatens to consume her home, Hala stubbornly refuses to leave. 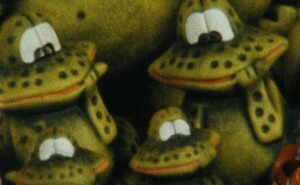 This Berlinale Golden Bear-winning fable proves something as mundane as a ceramic frog can symbolize and contextualize the pervasiveness of xenophobia. A profoundly empathetic look at one of the only health clinics serving America’s untouchable community–undocumented immigrants. With a mannequin factory serving as backdrop, one migrant recounts his odyssey across the Mediterranean in heartbreaking detail. 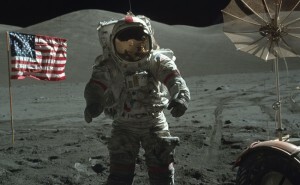 An exhilarating collection of never-before-seen footage of the 1972 Apollo 17 mission – humankind’s final expedition to the moon. A gorgeous, hypnotic illustration of one girl’s struggle to survive her mother’s increasingly destructive alcoholism.